Are you, your family, or group looking for a vacation rental on or near the Gulf Coast that’s close to everything but worlds apart? Whether it’s a beachfront condo or waterfront condo rental, Wolf Bay Condo offers a few different options to choose from. Come enjoy serenity and beauty at its best while having fun in the sun! 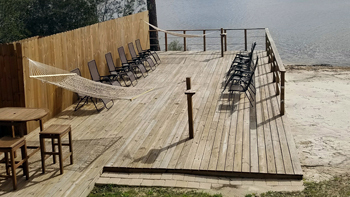 If it’s a waterfront vacation rental that you’re looking for, then Wolf Bay Landing Condo Vacation Rental is the perfect vacation destination for your next Gulf Coast getaway. Come experience the beauty and luxury of waterfront property living while staying in one of our famous Gulf Coast vacation rentals. 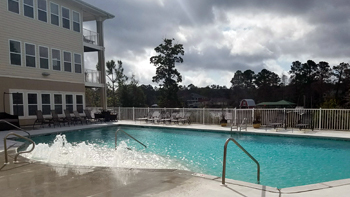 Overlooking beautiful Wolf Bay in Foley, Alabama, the condominiums at Wolf Bay Landing are positioned in an ideal setting for those looking to enjoy life on the water. 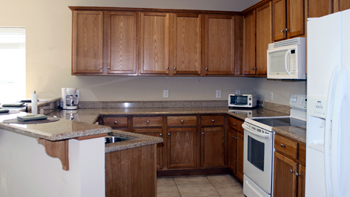 With added amenities, our 62 unit condo rental floor plan features a mix of two and three bedroom units that are well constructed and virtually maintenance free. In addition, guests can enjoy the peaceful, natural environment surrounding the property’s 7+ acres along with our freshwater fishing pond. We invite you to visit Wolf Bay Landing condo rentals for a beautiful, memorable Gulf Coast experience. Among our amenities, Wolf Bay vacation rentals feature a personal chef service for that special private dinner in your room. We also provide a full catering service on and off-site for wedding parties, receptions, and special events. Allow us the opportunity to host your business function, family reunion, church retreat or special celebration. Our vacation rental properties offer a serene setting for your next girl’s weekend and guys fishing or golfing trip. 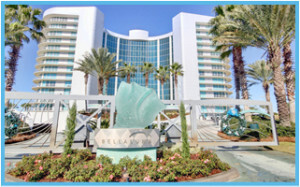 Wolf Bay Landing’s Gulf Coast waterfront condos offer many different types of amenities, including, 3 large piers with multiple electric and water connections perfect for boat docking, the outdoor swimming pool with melodic fountains, spacious decking for sunning and lounging, canopied daybeds, and numerous shaded tables for playing cards. The adjourning Club Room provides guests with a television entertainment area, as well as fitness equipment and a pool. The Club Room and the pool table area may also be rented for special events. There are canoes, kayaks, and skiffs on-site for rent. 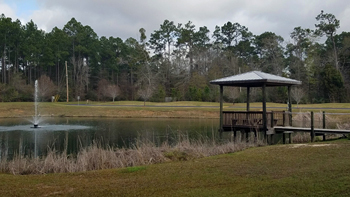 The grounds include a freshwater pond with a fountain and piers for fishing, relaxing, bird-watching or enjoying one of the best sunrises you will ever see in a serene and beautiful environment. 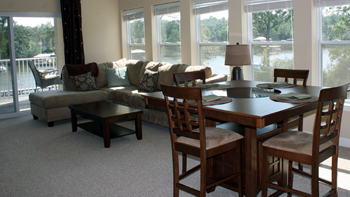 Reserve one of our waterfront vacation rentals and enjoy life on the water like never before. 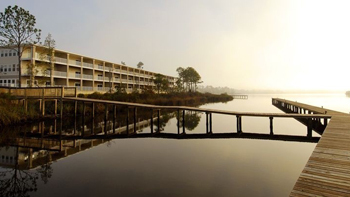 Wolf Bay Landing Condominiums, located just north of Alabama’s intra-coastal Waterway and the Gulf of Mexico is Wolf Bay, one of the Gulf Coasts most beautiful bodies of water. Known for its convenient yet serene location, diverse wildlife, and protected waters, Wolf Bay has been certified as one of the USA most treasured bodies of water. Wolf Bay has long been enjoyed by fishing and boating enthusiasts, as well as bird watchers who appreciate its true un-crowded beauty. 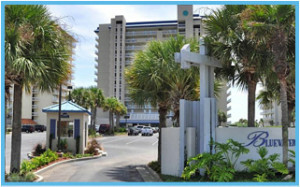 We also offer a few different Beachfront Condos listed below. 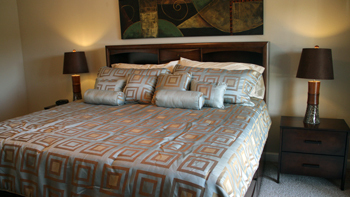 Come experience and enjoy the best vacation rentals that the Gulf Coast has to offer. It’s Wolf Bay Condo’s mission to help you find the perfect vacation rental to fit your every need. Whether you’re looking to spend your vacation enjoying beach activities while staying in a beachfront condo, or if it’s fishing and boating that you prefer while staying in a waterfront condo rental, call Wolf Bay Condo today. The Gulf Coast has many beautiful beachfront and waterfront vacation rentals to enjoy. 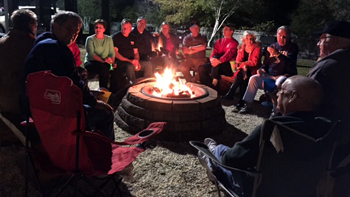 Let Wolf Bay Condo help you reserve a special place for you, your family or group.